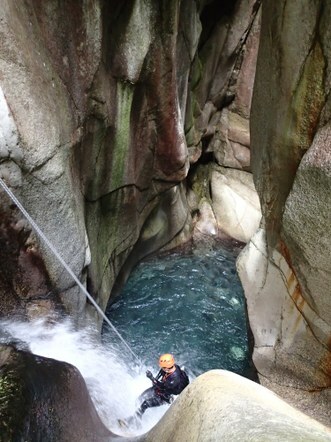 Canyoning trips involve off-trail travel and technical descent of creeks. In the United States, Canyoning is most widely known for canyoneering in the desert southwest, where the sandstone has been carved into beautiful corridors by flash floods. In most other parts of the world, Canyoning refers to the descent of flowing canyons in mountain ranges, in which the canyoner gets to rappel through waterfalls, swim through alpine blue pools, and explore lush green corridors. Here in the Pacific Northwest, the world of aquatic canyoning is just becoming discovered, and we are fortunate to host some world class canyons. Note: While aquatic canyoning has many technical commonalities to climbing and desert canyoneering, aquatic canyoning environments require additional skills and knowledge to explore safely. Many canyoning accidents happen when experienced climbers or desert canyoneers apply the wrong techniques to the situation. Aspiring aquatic canyoners should seek specialized training or mentorship before entering an aquatic canyon environment. Basic canyons are those with a rating of v3a3III or easier. These canyons may have rappels up to 100 feet (30m), required swims, jumps up to 15 feet and exposed anchors that may require a hand line to access. They do not have hydraulics or major current, nor do they have multi pitch rappels or technical jumps. Participants on canyoning trips may have one of the prerequisite course badges or all of the prerequisite skill badges. Intermediate canyons are those with a rating greater than v3a3III but no harder than v4a4IV. These canyons may have rappels greater than 100 feet (30m), obscured rappels, multi pitch rappels, rappels that end in pools with current, jumps up to 24 feet, technical jumps, and exposed anchors that may require very exposed or delicate hand line access. There are two main canyon grading systems in the world: FFME (French Federation of Mountain Climbing) and ACA (American Canyoneering Association). 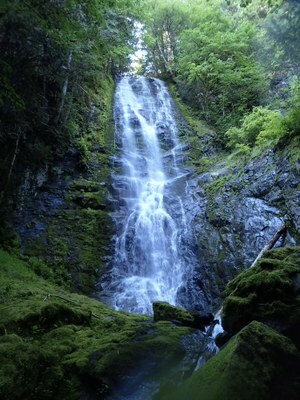 While the ACA system is the most commonly used system in the US, the FFME system provides greater specificity with regards to potential aquatic conditions which is useful for the canyons typical of the Pacific Northwest. Mountaineers canyons are determined by the FFME grade system. The FFME grade system has three parts: vertical difficulty (v); aquatic difficulty (a); and commitment level (I-IV). A canyon is rated according to the quality that falls into the most difficult category. So, if a canyon is mostly v3, but has one rappel that has a v4 quality, it will be rated v4. Canyons are graded according to normal flow during the typical season for that canyon. Some regions in the United States, and around the world, have better beta than others. Canyons are prone to changing, some quite significantly, during each flood period. Rappels wash out, new obstacles form, and pools come and go. Because of this, its important not only to reference the general route descriptions, but to also find recent trip reports if they exist. Ropewiki is a useful resource that collects trip reports from multiple sites, and provides canyon beta in both FFME & ACA scales. 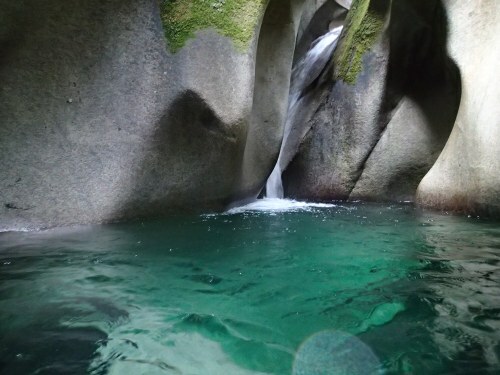 Canyon Leaders have been approved by their branch's Canyoning Committee to lead others who have basic canyoning experience in canyon excursions. Visit our Canyon Leader badge to learn more.